The Olympics has always been about man vs man or woman vs woman and from very early on, martial arts in the Olympics as a physical combat has been a popular sporting event. 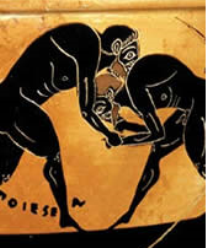 Ancient Olympics started in 776 BC with wrestling being contested as early as 708 BC, boxing in 688 BC, chariot racing in 680 BC and pancratium (Pankration), a combination of boxing and wrestling in 648 BC. In fact physical combat made up a large portion of the events in ancient Olympics and had few rules unlike today’s modern events. Sharing an interesting story from Wikipedia: In 564 BC a Pankration fighter named Arrhichion won his Olympic title while dead. 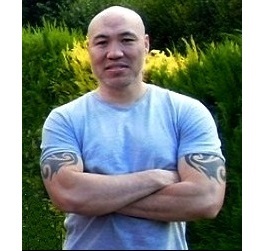 The story goes that his opponent had Arrhichion in a choke hold and in a desparate attempt to get out of the hold Arrhichion broke his opponents toe, forcing his opponent to submit. However upon the referee raising Arrhichion hand, it was found that Arrhichion had actually died from the chokehold, but he was still crowned the victor and given a hero’s send off. Modern Olympics started in 1896 with 9 sports and 43 events and was hosted in Athens, Greece. Sporting events are constantly being bidded for and new ones are added and old ones dropped at each new Olympic Meeting. Host countries also get to add a sport of their choice. The International Olympic Committee resides over and brings together all other Olympic organisations, bringing together people from all over the world to compete with one another. It is also the IOC that decides which sports will be included or dropped and which city will host the next Olympic games, with much criticism, controversy and even bribery taking place. At this moment it has been decided that the long standing wrestling events will not be included in the 2020 Olympics. While there is a possibility that Wushu could be, however Karate has yet to be included and has mostly fallen at the last hurdle to be accepted, much of which has been blamed on the World Karate Federation (WKF).